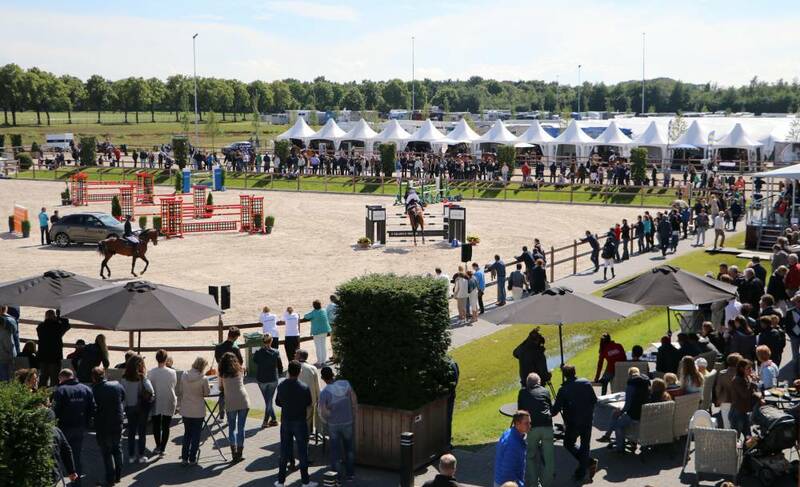 The participants in the international show at the Equestrian Centre de Peelbergen can expect a significant increase of the total earnings. By adding a second ranking class 25.000 euros will top the existing prize money. This second outdoor edition of the CSI de Peelbergen will take place from 8 till September 11th. This edition more than 160 riders from around the world have entered. Amongst others they will travel from Belarus, Brazil and South Africa to Kronenberg. Two participating pupils from Ger Poels, one of the founders of the ECdP, are from Turkey and Mexico. “We want to provide and attract quality with quality”, says the owner of Stal Poels from Swolgen in the Province of Limburg. “It is a center where not only Olympic riders and local top combinations can compete, but also riders who are at the beginning of their international jumping career. With the second ranking class we want to create an additional incentive for even more diversity amongst the competitors. We hope that the quality of accommodation and this addition to the program will result in another successful show”. The first Longines ranking class over 1.45m is scheduled for Friday afternoon. In addition there are also points to be earned in the Grand Prix on Sunday, starting at 14.30 o’clock. On all four days of the competition there is almost 88,000 euros to be divided among the winners. Furthermore, there are also classes for young horses on the program. Thereby the ECdP not only encourages young riders, but also talented young horses to create a name for themselves internationally.